Better rest. More adventure. Travel safe. 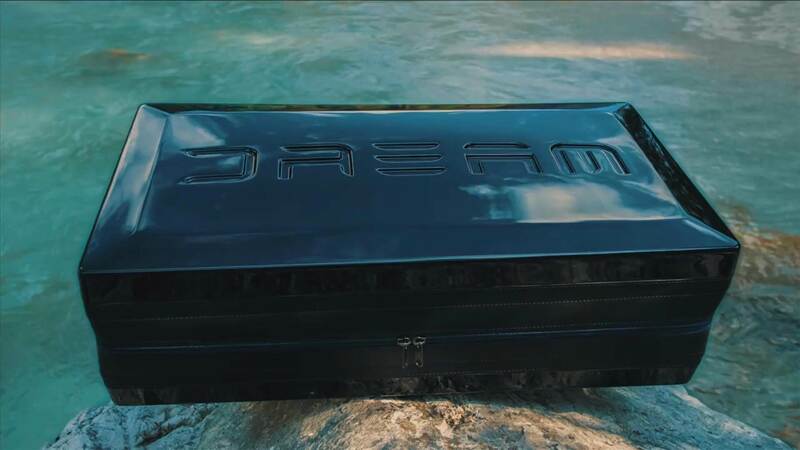 Dreamcase transforms your car into a luxury double bed. Dreamcase was designed to make car travel spontaneous, convenient and safe by swiftly unfolding into a double mattress for the coziest of rest. With multi-layer memory foam, car duvee and pillows neatly encased, Dreamcase assists pack and forget travels in the one beautifully compact form-factor. Dreamcase speedily unpacks 0 – Rest Space in 2.5 minutes but < 60’s with Quick Pack activated, so freshening up for safer driving is a breeze. The Folding Memory Foam Dreamcase greatly improves upon the comfort, reliability and sound characteristics of portable mattresses. Its 4 partly modular panels are connected by articulating joints – use it flat as a mattress in-car, partially stacked for reading or separated as outdoor seating pads, it’s a multi-tool for rest. Dreamcase’s exterior visibly functions as a case yet while in use serves as a height prop. It brings vehicle trunk height up to the folded down rear seats and combines with a mattress integrated prop to bridge over the rear passenger footwell, so the rest surface remains flatter. Your brand not here? We’ll be adding more models soon. Stay tuned. Your model not available? We’ll be adding more models soon. Stay tuned.